We consistently deliver highly personalized financial guidance through our defined process and meticulous attention to detail. We provide you and your family with a comprehensive 6 stage approach to help you cultivate and secure your financial health. First, we meet with you, your family and/or the significant people in your life that you want us to know about to discuss and understand your dreams, life vision, needs, goals, expectations and concerns. During this meeting, we invite you to ask questions about our practice and our process. Education is the core to our business philosophy, so we invest time educating you at the pace you feel comfortable with. We want you to understand and apply these fundamentals for the betterment of your financial health. 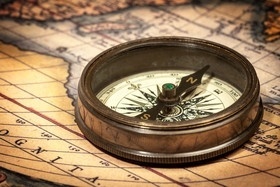 We conclude by determining if we have a good fit to move forward. It is important that we assess our ability to add value to your situation and for you to feel comfortable with us so we can begin our mutually rewarding relationship. Based on your current circumstances, we review and audit your current financial plan, if you have one, your complete financial health and balance sheet, rate of return assumptions, and time horizon, among other things. This insures that we completely understand your personal financial situation in great detail. As always, all information, including the fact that we have met with you, remains completely confidential. We present you with your Personalized Comprehensive Wealth Management Plan. We thoroughly review your Plan in person (preferably) or via telephone and are prepared to implement our recommendations for you at that time. 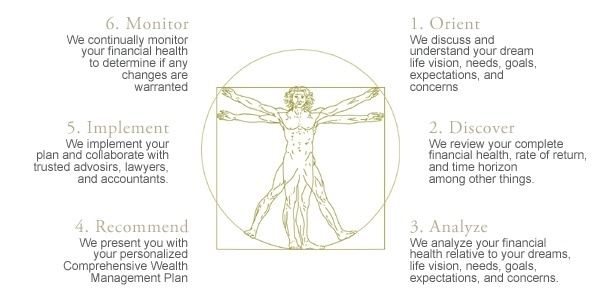 Upon your approval, we implement your Personalized Comprehensive Wealth Management Plan. We pull together the team of experts necessary to seamlessly implement your plan and collaborate with these trusted advisors, lawyers and accountants. We give you and your advisors, if you so desire, a secure password-protected login to the Grooms Wealth Management System to provide 24/7 access to your up-to-date consolidated account information.Click Here to view a demo of the Grooms Wealth Management System.